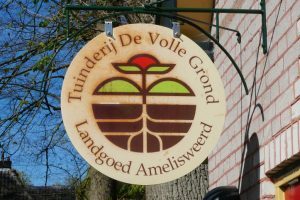 Sign of the bio dynamic garden "De volle Grond". In the shop behind the museum you can buy organic products from the garden. The shop is only open in summertime on wednesday and saterday afternoon.